"This was the best experience ever. The camel riding was just mind blowing, pinching yourself to make sure it was real. We got to hang out with the local camel leading boys and enjoy some true Omani hospitality. If you want a true desert experience this is it." "Great trip with beautiful scenery everywhere . Well organized from start to end . Would not be able to visit all the places we visited in such a short trip . A true eye opener to the beauty of Oman . Thank you UAE trekkers." "The dhow trip to Kumzar was an incredible experience, not your regular dhow cruise! We kayaked through phosphorescent water, did yoga on pristine beaches, and snorkeled through amazing korals. Such an enjoyable time!" "As a beginner hiker, I was really nervous to start hiking, but UAE Trekkers made me feel safe and ready for the challenge of the Wadi Shah hike. It was tough but the guides were great and ultimately I made it to the top of the farm houses, a great feeling." 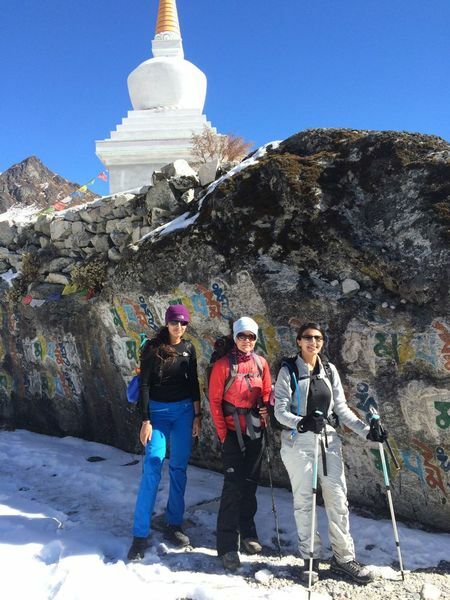 "I have done this trip twice now and would definitely go back again. These are amazing Wadi’s that need to be seen and experienced. The water is so clear and refreshingly cool. The accommodation is basic but comfortable and adds to the adventure. Definitely would recommend that you do this trip." "Dear Amy, I just want to THANK YOU 🙏 once more for ALL you did for making the Walk such a wonderful experience for all of us. I can’t believe how hard it must have been. The training sessions, all the info, good ideas and encouragement prepared us well. You are the one who made us able to complete the walk in a very comfortable way. It was absolutely a fantastic experience and I have no words to describe how thankful I am for being part of it. A memory for life has been given to us. You and your positive, energetic and lovely team deserve recognition and a HUGE THANK YOU. I hope you will pass on my message to the rest of your group and know how much we all appreciate your hard effort ❤"
"A memory for life has been given to us." "I had a fantastic experience on my first hike with UAE Trekkers to Wadi Monay. The trek leaders made me feel safe, the hike route was just beautiful, and I got the chance to meet other cool people!" "pinching yourself to make sure it was real"
"Snake Gorge has always been something I wanted to do, but was nervous about. UAE Trekkers had amazing guides and thorough safety checks. It was a once in a lifetime experience, truly"